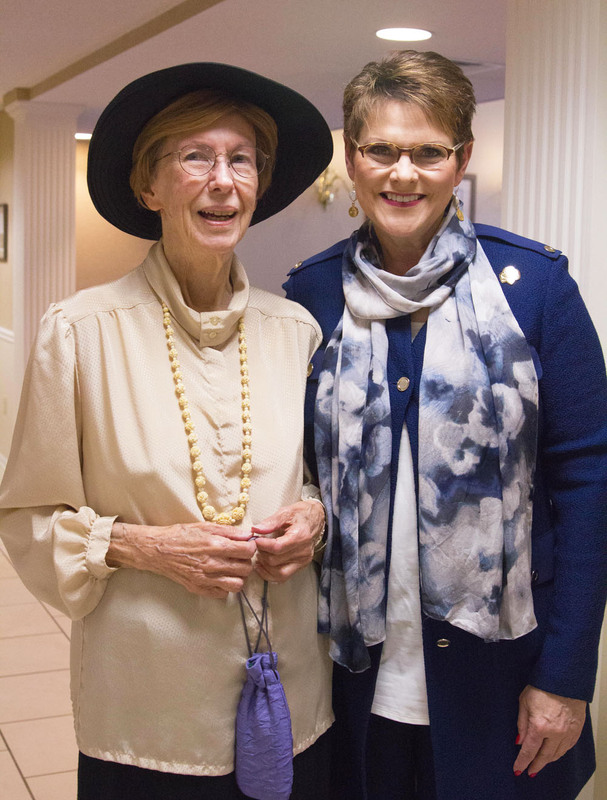 We’re so proud of BSP resident Barbara Lee who was honored by the Girl Scouts of NE Kansas and NW Missouri at a special Downton Abbey-style tea this month. The afternoon tea celebrated the 104th birthday of the Girl Scouts and commemorated the career of Ms. Lee, a long-time staff member, and recognized all that she has done to help build girls of courage, confidence and character. Click here to see more about this special occasion. 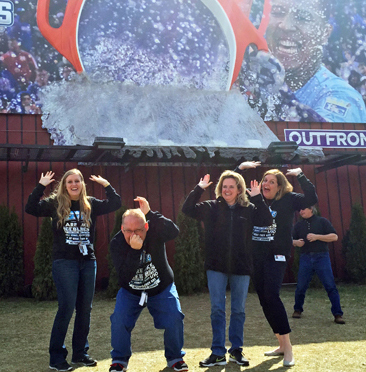 March was National Social Workers Month and what better way to celebrate BSP’s amazing social workers than with a Salvy Splash! 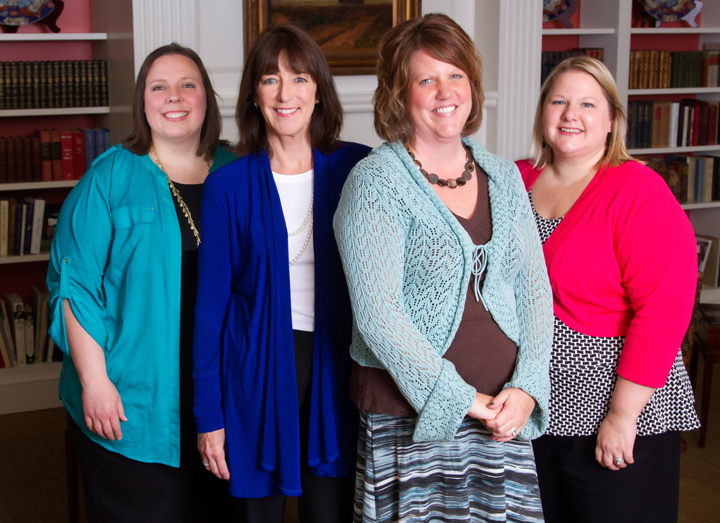 Our exceptional team is dedicated to supporting residents throughout our community and works hard to advocate for them. The team includes (from left): Morgan Knight, assisted living/long-term skilled nursing; Mike Wolverton, short-term rehab; Melissa Steck, healthcare administrator; and Chrisse Diehl, independent living. At Bishop Spencer Place, we take dining seriously – breakfast, lunch and dinner are some of our favorite parts of the day! Of course we look forward to treating our palates to a variety of mouthwatering dishes, but we also understand the importance of good, nutritious meals to nourish our well being. As we age, our bodies require fewer calories, yet require more protein, calcium, B vitamins and other nutrients. 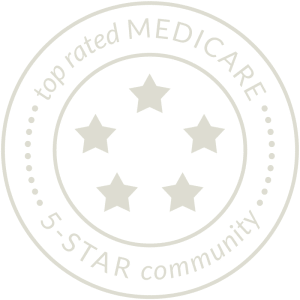 You can read about these differing nutritional needs of seniors by clicking here, courtesy of A Place for Mom. 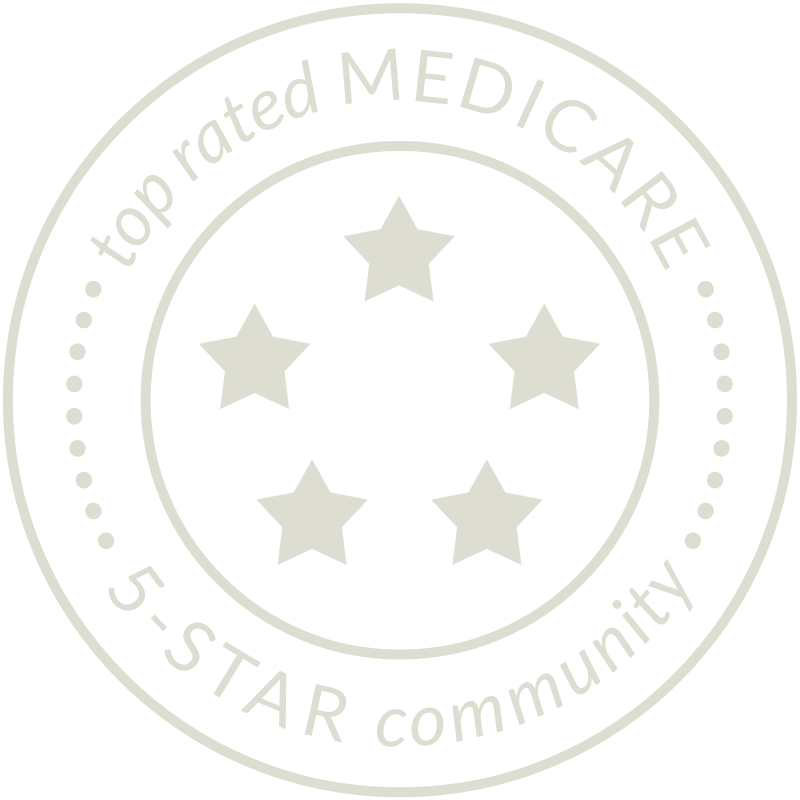 The Academy of Nutrition and Dietetics also has some great resources on healthy eating for older adults. Click here to explore a variety of articles on this important topic. We know healthy eating is a key component of a healthy lifestyle – and we want the best for our residents.That’s why we partner with PB&J Restaurants to create culinary masterpieces that delight our taste buds and our bodies.We’re fortunate to have dining services director Sarah Lavy and executive chef Earl Morgan work with their talented team to craft menus for our casual Bistro and formal dining room, as well as for our assisted living and skilled nursing dining rooms. 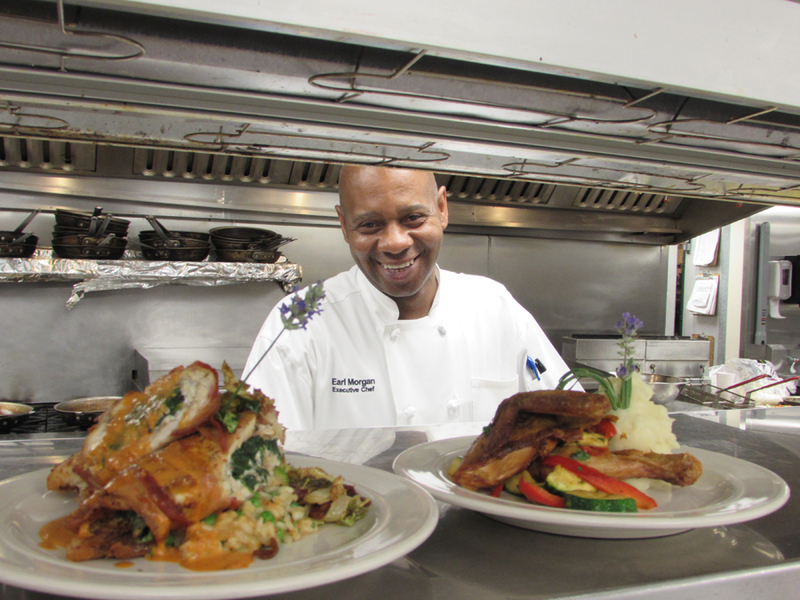 Chef Earl just celebrated his 25th anniversary with PB&J, and was instrumental in developing the five-star culinary experience residents enjoy today. He has been kind enough to share two of his deliciously-healthy recipes with us – click below! 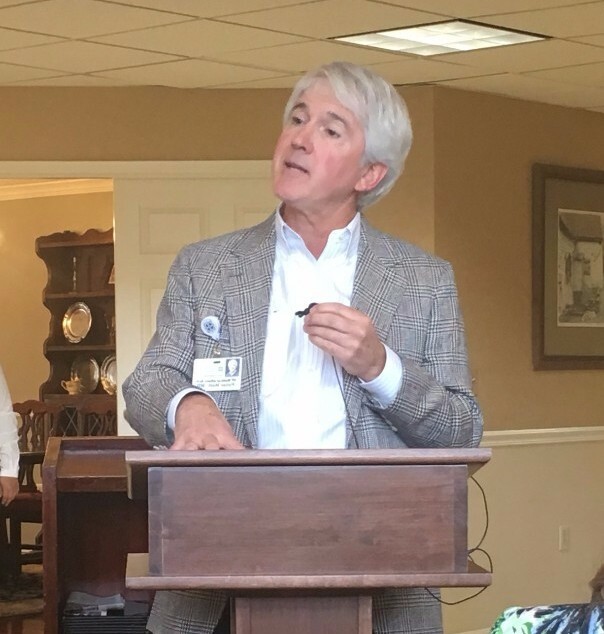 We capped off National Nutrition Month with a fantastic presentation on healthy aging given by Dr. Peter Holt – Director of Geriatric Medicine at Saint Luke’s Hospital and BSP’s medical director since the day we opened in 1995. Dr. Holt entertained and educated guests, sharing several great tips on staying active, maintaining social relationships, decluttering, exercising, planning for the future and more, followed by a Q&A session. After the presentation, guests enjoyed a delicious and healthy lunch of balsamic chicken, quinoa with black beans, fresh vegetables and a berry parfait freshly prepared by Chef Earl and his Culinary Services team. BSP resident, Mr. Bernie Jones, hosted a beautiful ceremony dedicating the 20th anniversary of the Schoenstein Opus 128a Pipe Organ. The organ was dedicated in February 1996 with Canon John Schaefer of Grace & Holy Trinity Cathedral at the console. The organists since that time have been Barry Richardson, Steven Casirella, the Rev. 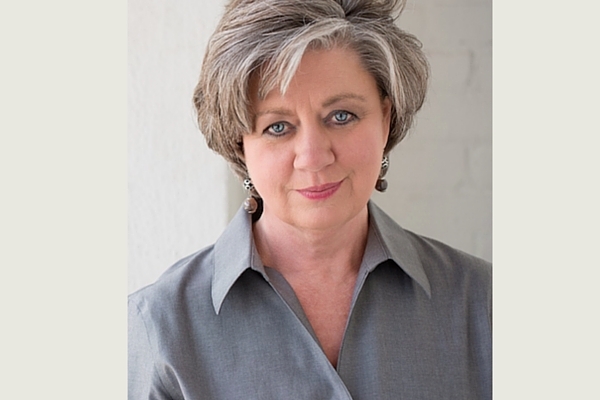 Benjamin Harrison and the current organist – Lynne Tidwell. After his retirement, we were also privileged to have Dr. John Obetz as the main substitute organist. 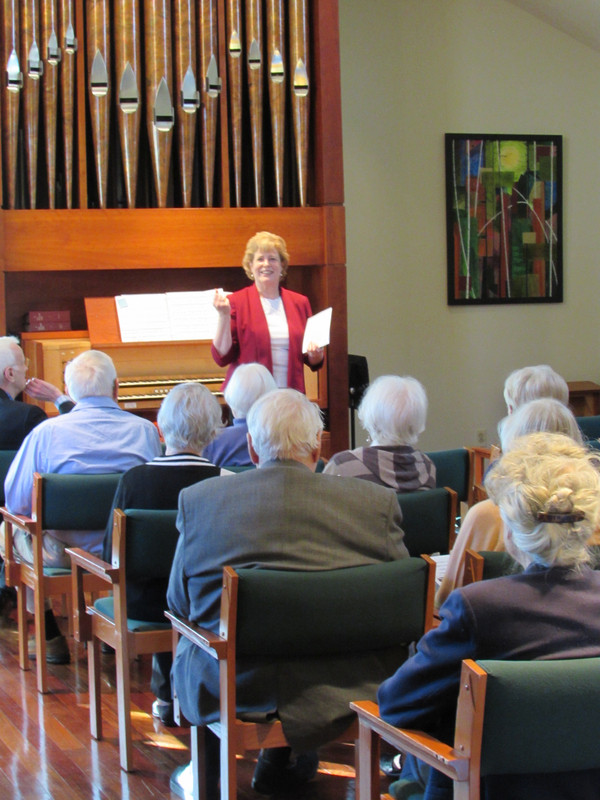 At the 20th anniversary celebration, the talented Ms. Jan Kraybill delighted us with a program in our Chapel of the Epiphany, and a reception followed in the Madison Living Room. Click here to see more photos from this special event. If you’ve been thinking about selling your home, please hear this…NOW IS THE TIME! You’ve read this before in this space, and it continues to be true. Prices are up, and supply is lower than ever. Homes are selling in less time and for more money. Let’s review the numbers. Click here to read the rest of Claire’s Housing Market Update. Legend has it that St. Patrick drove the snakes out of Ireland. As a child, I thought it was nice of him to give them a ride — most people don’t like snakes. He probably preached to them as well, because that’s what St. Pat always did: he proclaimed the life, death and resurrection of Jesus. 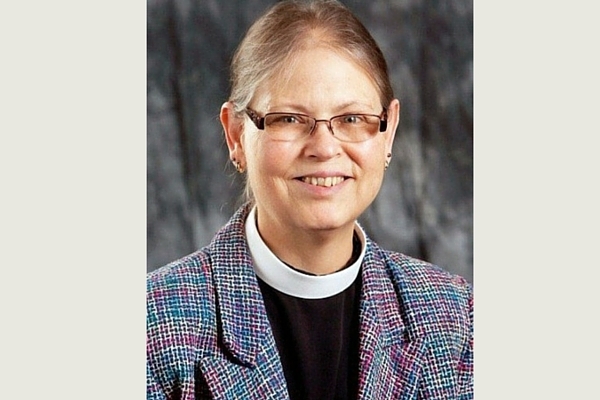 Click here to keep reading Chaplain Kathy’s March reflection.